DALLAS – Chad West of Chad West, PLLC was selected by D Magazine to its 2014 list of the Best Lawyers in Dallas! West says he’s honored to be part of such an esteemed list of professionals and top ranked attorneys throughout the metro area. Selected as one of Texas Monthly’s “Rising Stars” in 2011, 2012, 2013 and 2014, West is dedicated to serving his community. Additionally, West was ranked as one of the Top 100 Trial Lawyers by National Trial Lawyers in 2013 and 2014, received the Barefoot Wine Spirit Award in 2013, and has earned the coveted spot as Best Criminal Attorney by readers of the Dallas Voice every year since 2011. Dedicated to fighting for each client’s rights, West prepares each case as if they’re going to trial—however, he understands that the most successful resolutions often come about without a trial. Settlement during litigation is often in the best interest of clients, and that’s West’s top priority. A fair outcome and solid advocacy is the foundation of his firm. Free consultations and a team of professionals are just two of the reasons West remains a client and reader favorite in the Dallas area. His philosophy is that clients should focus on the end goals while West and his team handles the bumps along the way. 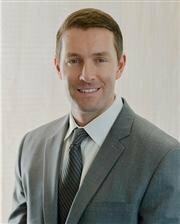 He specializes in two key areas of law, personal injury and criminal defense. His firm has also recently added Rob Ruhlin, an employment law litigator, as Of Counsel. “This is a great honor that reflects the quality of law professionals in all of Dallas,” West said of the award. “I’m humbled to be included and so proud of my colleagues and the work we all do.” A recipient of the DAYL Young Lawyer of the Year award in just 2012, West’s firm has grown quickly in both size and reputation over the years. His most recent expansion includes a new website helping clients connect to the firm as well as new office space. Chad West Law PLLC is comprised of business, criminal and personal injury attorneys and legal staff who offer free consultations and 24/7 emergency bail bond services. For more information, visit www.chadwestlaw.com or call 214-509-7555.